After discussing on various soil-less growth media in brief in my earlier blog, I have planned to share some more information on the individual media. This is the first issue where I shared some information on one of the most controversial and popular soil-less growing media, Peat Moss. Hope you will like it. Peat Moss refers to decomposed and dead remain of many components such as mosses, sedges, and shrubs etc. But the most common part is Sphagnum Moss. The moss typically grows on top of the bog (deep and wet marshes) and the peat is produced underneath. The ideal condition for the formation of peat is wetland where flows of oxygen are not abundant due to the obstruction caused by flood and thus causing a slow rate of decomposition. When plant material is inhibited from decaying fully (due to lack of oxygen and presence of acidic medium) then it accumulates as peat. Peat moss is mostly found in places with cool climates. Countries such as Canada, Northern Europe, Scandinavia, New Zealand are the biggest source of sphagnum peat moss. Fibric peat moss: It is the least decomposed one among the three types and contains fibers in intact condition. Hemic peat moss: It is much more decomposed than the Fibric one but not as much as Sapric type. Sapric peat moss: This is the most decomposed form. The usage of Peat moss can be plenty, but here I will only focus on its use in agriculture and gardening. The use of peat moss in gardening and agriculture has become very popular due to its water retaining ability (can hold up to 20times of its weight) and rich nutrient content. You can mix peat moss with soil. 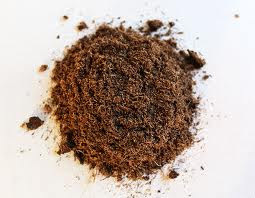 sphagnum peat moss retains the moisture in dry condition. It has a proper drainage capacity that prevents the excess water from killing the roots. Peat can also store nutrients although peat by itself is not fertile. Due to this reason, it can also use as fertilizer to the soil. Peat is typically very acidic and can be toxic to plant roots. It is recommended to use by mixing with different other media (with soil or go soil-less). Before adding it to soil make sure you do the soil pH testing. If the surrounding soil is already high in the acid content you should not add peat moss as it will hurt the plant very badly. Apart from Agricultural and Gardening purpose peat are also used for different purposes such as a source of fuel (in some countries), water filtration, in preservation, balneotherapy etc. The popularity of peat has also caused some controversy when it comes to resourcing. Though sphagnum grows in many places, it usually accumulates very slowly, at the rate of about a millimeter per year. But its extraction rate far exceeded its re-growth rate. There is some ongoing debate about whether it should be considered as a “fossil fuel” or “renewable fuel”. Though some of the agencies are considering it as a “Slow-renewable fuel”. When the demand outpaces the natural production, there is a danger of over-farming. It also leads to the ultimate destruction of bog habitat that support a number of birds, small mammals, insects, and microbial habitat. take protective measures such as wearing face-masks and gloves. Like every other plant in the moss family, Sphagnum also contains spores, inhaling which can be dangerous. In some cases, peat moss contains some harmful bacteria which can cause skin irritation and can cause decreases in case it enters into the bloodstream. Do you use peat moss? what is your experience with peat? We would love to hear. This is excellent informational content. Thank you for sharing. it and I’ll be book-marking it and checking back regularlу! Yoսr style is sⲟ unique compared to otһer ρeople I have read stuff from.